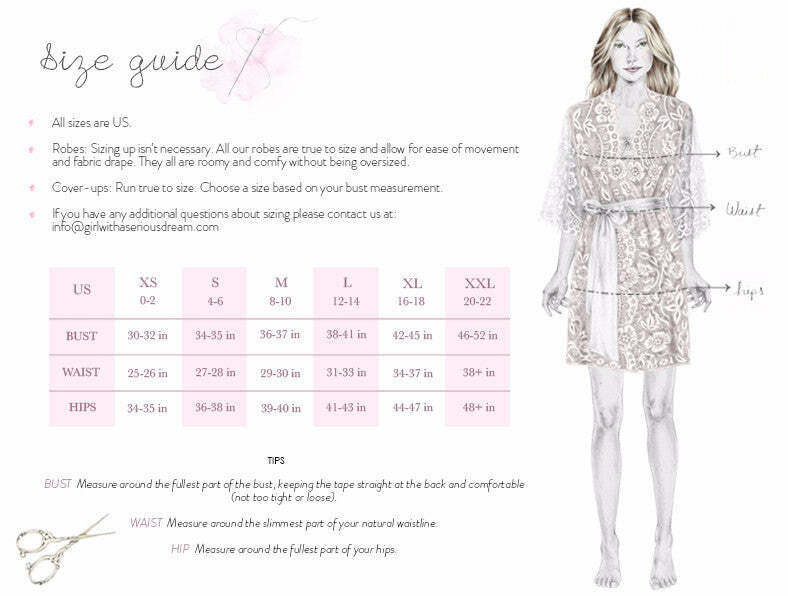 Our best selling Swan Queen lace robe is now available in long dressing gown length! Sure to be a stunning piece that will make for some gorgeous getting ready photos on your wedding day or boudoir session. A luxurious kimono robe handmade in soft Chantilly lace, featuring a breathtaking floral design with flirty scalloped edges along the neckline, floor sweeping length train, and long flared sleeves. Finished with a soft satin tie belt. Pictured in Black. Available in Ivory & off-white too.